Tiger Beer international brand director Venus Teoh, who has been in the role for four months, says the realignment is not a reflection on Marcel, but rather the desire to use a local agency. "As Tiger continues its expansion across Asia and beyond, now is a natural time to shift our agency relationship closer to the brand’s key markets in the region. Therefore this week the account will be relocated within Publicis Groupe to a newly created, dedicated team in Singapore, made up of talent from within Publicis Communications including Arcade and Digitas," Teoh says. "The Tiger Beer global creative account has been successfully led by Marcel Sydney for a number of years. We thank them for the significant role they have played in the brand’s growth to date." A Marcel spokesperson says the agency is pleased to see the brand stay within the Publicis network and reflected on successful campaigns including Tiger Ink and the recently #rarestripes campaign that launched in collaboration with Kenzo Paris and WWF. "Marcel’s work with Tiger has consistently been highly awarded from major global forums such as Cannes and D&AD, but more importantly we’ve been extremely proud to have accompanied Tiger on its journey to becoming a major brand within the Heineken portfolio," the spokesperson says. "We wish Tiger the best and we know that our Singapore team will continue their success. Looking into 2019 we hope to leverage our global experience to help elevate success for potential future clients." The news coincides, but is not related to, the departure of Marcel CEO Gavin Levinsohn. Read more here. 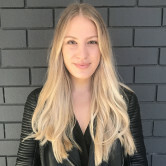 Tiger Beer has shifted its creative account to Publicis Singapore, ending its local relationship with Marcel Sydney, AdNews can reveal. Publicis Singapore will set up a dedicated team in the region pulling talent from Arcade and Digitas to service the account. 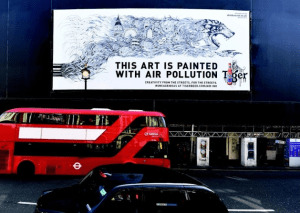 Marcel has held the account since its inception in 2016 and won a number of awards for its Air-Ink campaign, which made ink from air pollution.